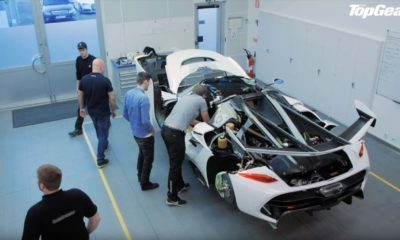 Why did Salomondrin Sell His Pagani Huayra? We all know, Salomondrin has sold his Pagani Huayra 730S Edition. David Lee now owns it and is probably enjoying his time with the one-off Huayra. But, why did Salomondrin sell his car in the first place? Well, that’s exactly what Alejandro talks about in the new episode of ‘Let’s Talk About Cars Yo’. There are a couple of points he makes in the video. I will try to highlight some of issues with Huayra ownership here. For all the rest, you can check out full video below. Why did Alejandro sell his Pagani? Deep inside, Alejandro loves the Pagani Huayra. But, given the market situation, his rational mind didn’t allow him to keep it for long. According to him, Pagani is inflating the values of their cars. It’s pretty clear when you look at the new Huayra BC which costs as much as a Bugatti Chiron. That doesn’t make any sense even in my mind. Also, the upcoming Huayra Roadster is pricier than the LaFerrari Spider which will appreciate in value like anything. The same can’t be said about the Pagani. Apart from value, Alejandro also talks about the problems he faced with his car- a discharging battery and comfort levels at low speeds. Furthermore, the Pagani doesn’t seem to be as quick as its rivals. A point which Alejandro demonstrated in the ‘Bangin Gears’ episode.